The Pulborough community, from local businesses and charities to specialist interest groups and residents, came together on Saturday 26th September 2015 to create the biggest and best Harvest Fair to date. 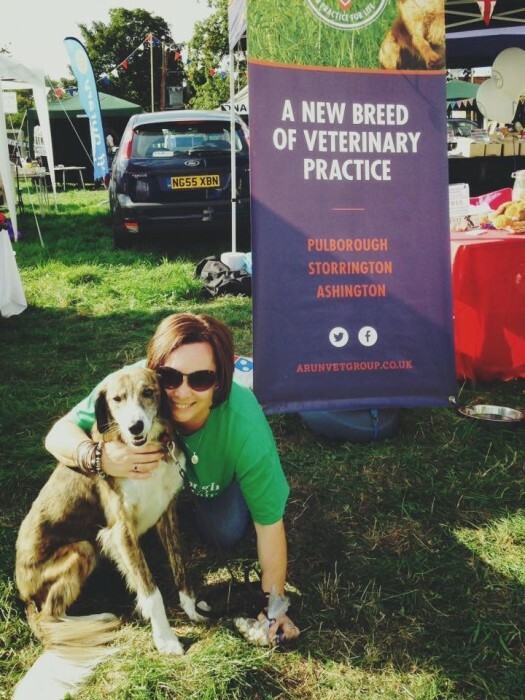 Arun Veterinary Group has been involved for many years with the fair but this year we made a significant contribution as Liz Panter, our Practice Administrator, was part of the small committee responsible for organising the show. As well as keeping the team together in the surgery she has devoted her spare time over the last year to assisting the other committee members in putting on a fantastic day. The fair which is now renowned across Sussex saw a record attendance, as visitors made the most of the September sunshine. Arun Veterinary Group ran the ever popular dog show with prizes for the best sausage catcher, best trick and waggiest tail. Sadie and her dog Elvis were the overall winners claiming best in show. We were delighted to work in conjunction with Billingshurst’s dog agility team who put on a display in the main arena, with Victor our veterinary mascot dog stealing the show with his clear round. We look forward to supporting the event next year. Well done Liz and all at Arun vets. Lot of hard work but certainly paid off| See you on 12th Oct. meeting to thrash out a few problems || Overall a great Fair.